Q. 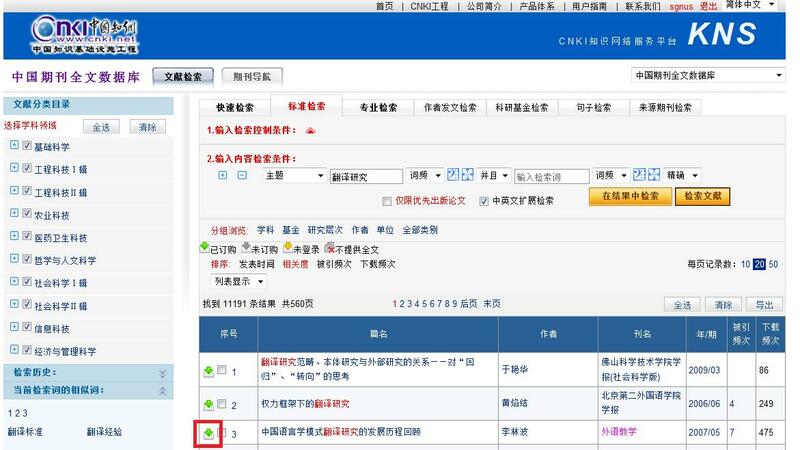 How do I find journal articles from the CNKI database (中国知网)? 1. Login to CNKI via Chinese interface or English interface. 2. 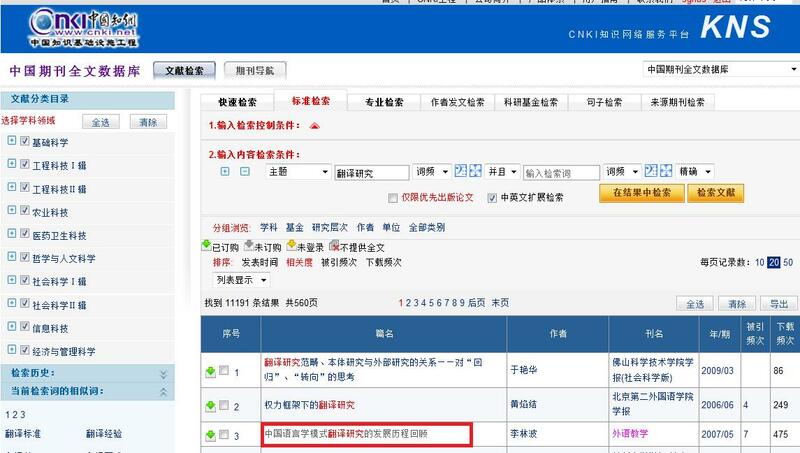 After logging in to the CNKI homepage via Chinese interface, please select the journal database, which is “中国期刊全文数据库” (China Academic Journals Full-text Database). 3. From the platform of “中国期刊全文数据库”, please select the search field based on your need. For e.g., 主题：翻译研究, and click on “检索文献”. 4. From the result list, if you want to get full text for an article title, you can just click on the green download icon to download the PDF file immediately. 5. Alternatively, you can click on the article title and browse the abstract detail first. 6. 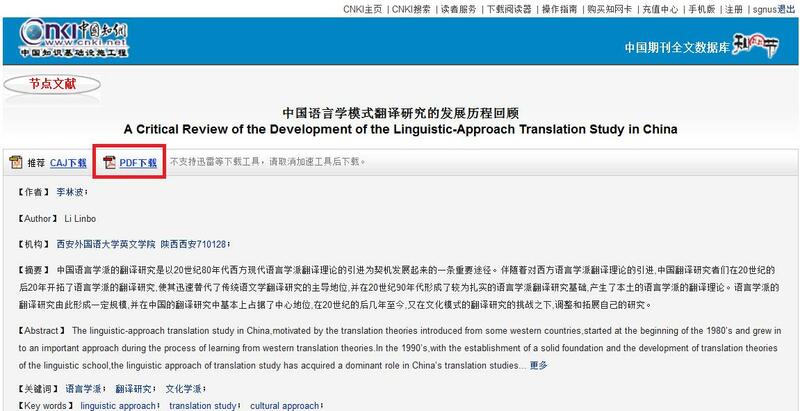 After reading the abstract, you can click on “PDF下载” to get the full text. All the journal articles covered in the database are categorised into 10 series. All the 10 series are currently subscribed by the Library. 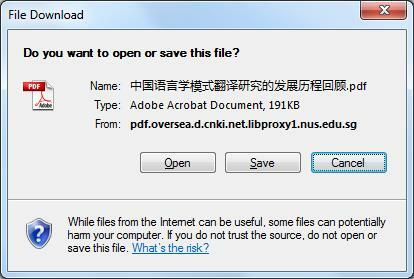 If you find that the Chinese interface of CNKI could not be opened properly, it could be caused by slow internet speed. It will be back to normal a short while later. Alternatively, please use the English interface.